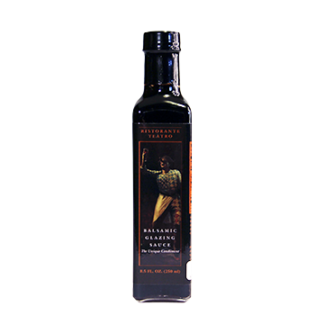 Ristorante Teatro Balsamic Glazing Sauce -- Garden Complements, Inc. 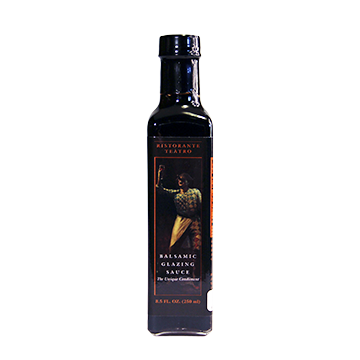 This flavor enhancer is made with authentic balsamic vinegar native to Modena, Italy. We add brown sugar and spices then slowly reduce it to a sweet and savory thick glaze. Drizzle over roasted meats, vegetables, fresh fruits and even ice cream for authentic Northern Italian cuisine.